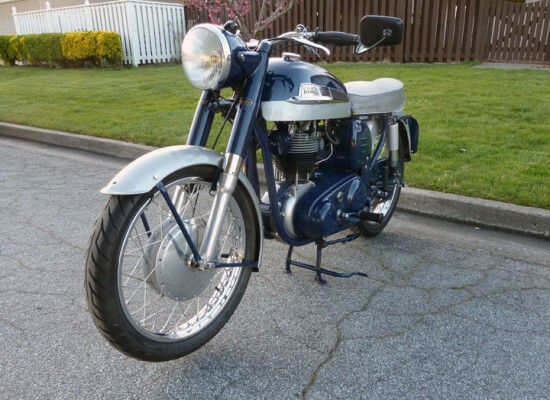 The Norton ES2 is a very unique machine in that it was offered for sale through five decades. Now, that is not to say that the ES2 first offered in 1927 is going to look the same as the last one in 1964. 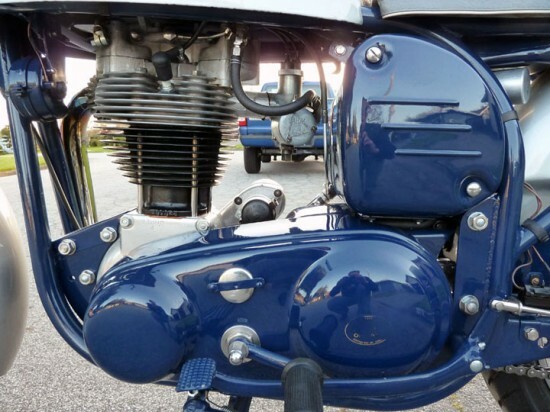 There where major changes in every part of the motorcycle except one, and that one is the heart of the motorcycle. 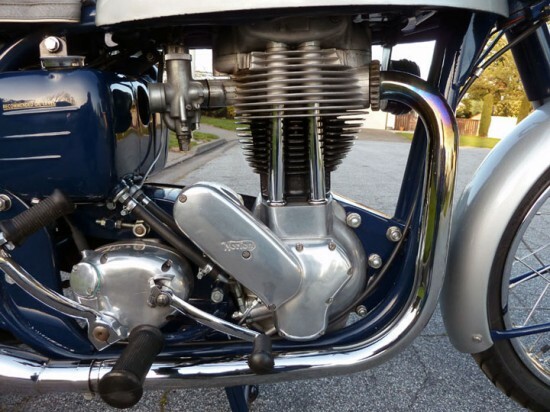 The 500cc OHV, push-rod engine. 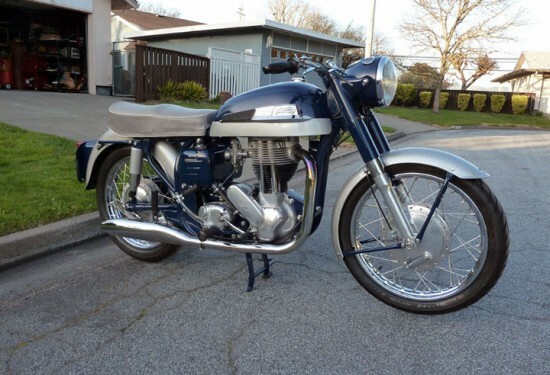 This 1961 Norton ES2 is a beautiful example of the final incarnation, and may look even better then when it was sold new. 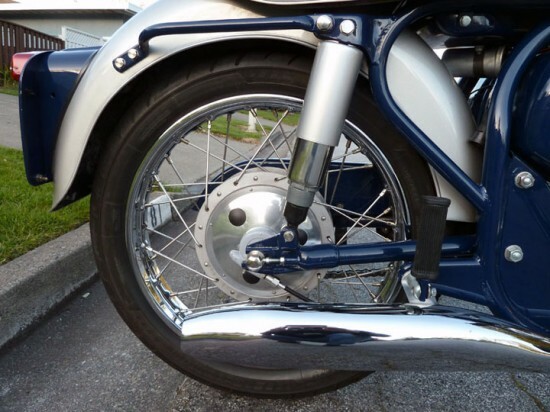 In 1927 the OHV engine was cradled in a rigid frame with girder front forks. Brakes were small and single sided. 37 years later the OHV engine was cradled in a Slimline Featherbed frame. The fact that the ES2 offered the Featherbed frame was a factor in the survivability of complete ES2. When the Triton became the end all of custom bikes, may ES2 were sacrificed. Additionally the engine has been rebuilt with a new Alpha big end bearing, new rings and piston. 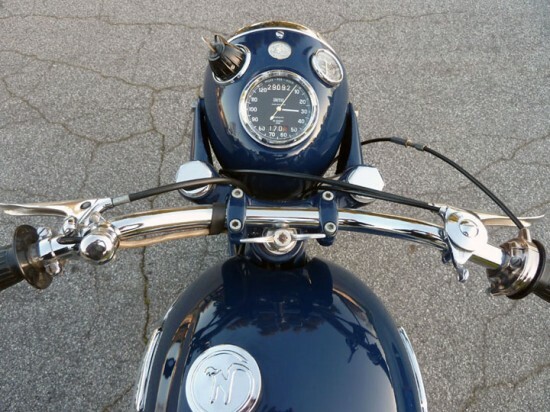 The head was done by ES2 specialist Mike Pemberton in the UK with new guides, valves and seats. The gearbox has had all the bearings and bushings replaced. New cables throughout. 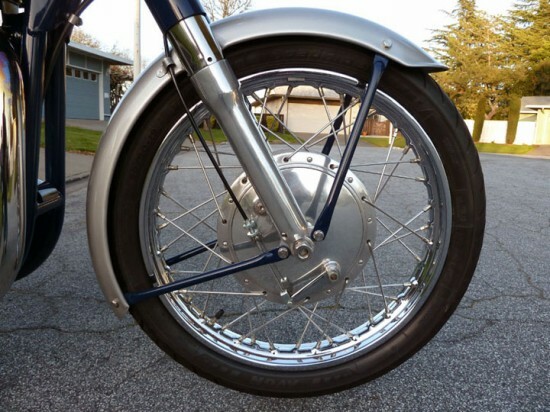 New brake shoes, new chain, new tires and tubes, Hagon shocks, folding kick-start lever, etc, etc. The list is longer than I care to recount. The reason that the ES2 was around so much was because it is what it is. A 500cc work horse that will get you where you need to go; not at any great speed, but comfortably. The seller made this fact a focus. The culmination of the effort was riding the ES2 on the 2011 Moto Melee (900 miles in 3 days). The bike distinguished itself with first rate comfort and reliability. No breakdowns encountered or roadside repairs needed, she just kept chugging along.